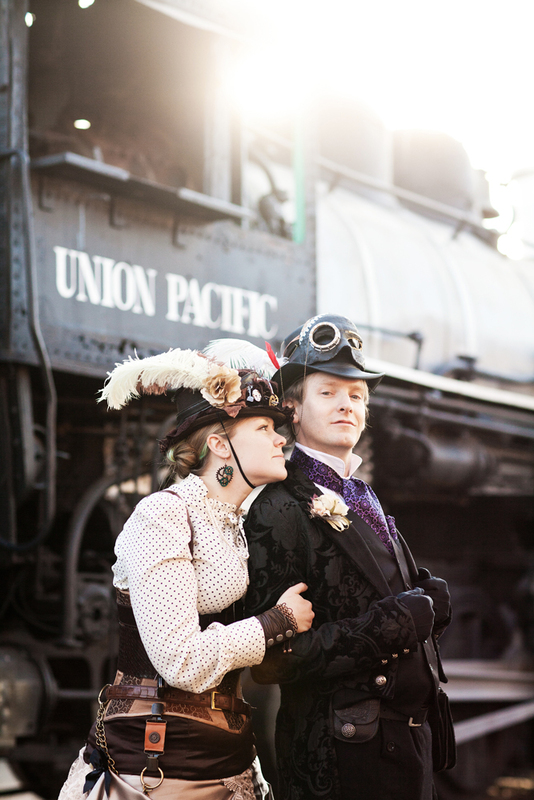 In celebration of the Steampunk culture that finds its roots in steam engines and technology, the Colorado Railroad Museum will host a Steampunk gathering and after-hours concert on Saturday, June 18. Our steam engines provide the perfect backdrop for this cultural phenomenon found in clothing, art, lifestyle and music. During the day, visit steampunk vendors, enjoy performances by buskers, and take a ride behind a steam locomotive. Receive 50% off Museum admission when you arrive in your finest steampunk attire or with a gadget. In the evening, join us for our first after-hours concert, featuring Colorado’s own Hydrogen Skyline, an acclaimed indie rock band which has played alongside bands like Abney Park and Atlas Genius. Along with the show under our new pavilion, you’ll enjoy local food trucks and a visit to the beer garden for a brew from some of Golden’s craft breweries. Gates open at 5:30PM; the concert begins at 6:30PM. Concert tickets are $20 and available online at ColoradoRailroadMuseum.org. Ages 21 and up only. For more information on both events, call the Colorado Railroad Museum at 303-279-4591, 800-365-6263 or visit online at ColoradoRailroadMuseum.org.